Heritage-rich General Tire continues its product offensive with SUV tyres for on-road and off-road use. Heritage-rich General Tire continues its product offensive with SUV tyres for on- and off-road use. The latest Grabber X3 caters for driving in tough terrain whilst the Grabber AT3 tackles mixed on- and off-road use. Both tyres feature the robust characteristics and high grip that General Tire is renowned for. The Grabber X3 has an on/off-road ratio of 20/80 percent, while the Grabber AT3 has a ratio of 50/50. The latest General Tire products offer new solutions with its American heritage in its core all-terrain segment for off-road driving enthusiasts, as well as professionals in the construction, agricultural and forestry sectors who demand maximum mobility in even the toughest conditions. The Grabber X3 is available in 19 sizes for rims from 15 to 19 inches, while the Grabber AT3 will be manufactured in 64 sizes for rims from 15 to 20 inches. Both models will bear the M+S mark and the snowflake symbol, indicating their suitability for all-season use. 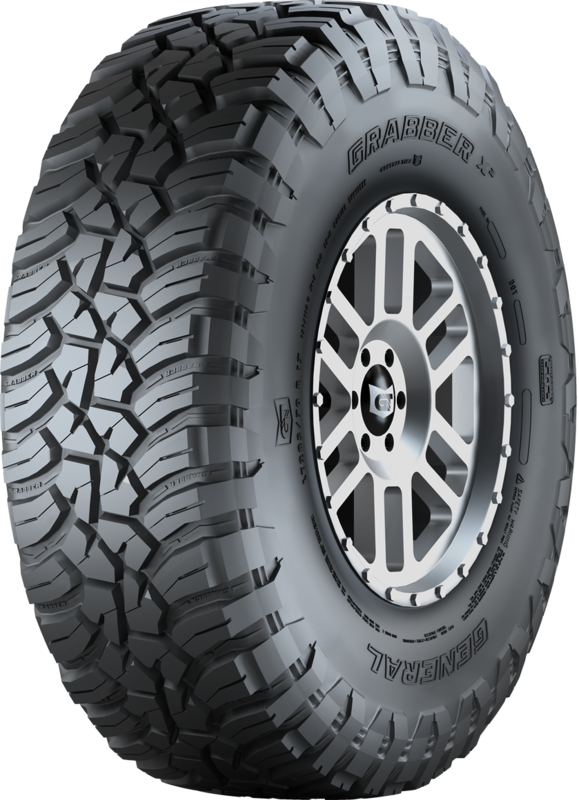 The Grabber X3 is a SUV/all-terrain tyre for on and off-road use, with a clear emphasis on off-road with an 80/20 off/on-road weighting. To help them meet a demanding set of specifications, General Tire’s development engineers created three new technologies: “Extreme Mud (X Mud)” for maximum traction in deep mud, “Extreme Dirt (X Dirt)” for driving on dirt and gravel, and “Extreme Rock (X Rock)” for tackling rocky terrain. All three rely on a tread pattern that features deep grooves, channels for mud evacuation and staggered edges, which makes for high levels of grip on sand, mud and gravel. The tyre’s unique design has chamfered block edges with wider tread grooves and narrow grooves in the tread base to enable stones to be displaced faster to prevent them from lodging when travelling over gravel. When driving over rocks, grip edges arranged at different angles in the tyre’s tread delivers maximum grip in every direction. A series of deflection ribs protect the sidewalls against damage from stones or gravel, which makes for highly robust performance in tough terrain. Grabber X3 has a three-ply structure that provides additional strength and puncture resistance. Compared to the tyre’s predecessor, its performance on sand and in loose gravel has been improved by five percent, while performance over rocky terrain by ten percent. For on-road use the Grabber X3 is better than its predecessor in terms of wet performance and noise, while there is a ten percent improvement on snow-covered ground. With an M+S mark and the snowflake symbol to indicate its all-season suitability, the Grabber X3 will be available in 19 different sizes for 15- to 19-inch rims. All sizes of this off-road specialist are approved for speeds of up to 100 mph. 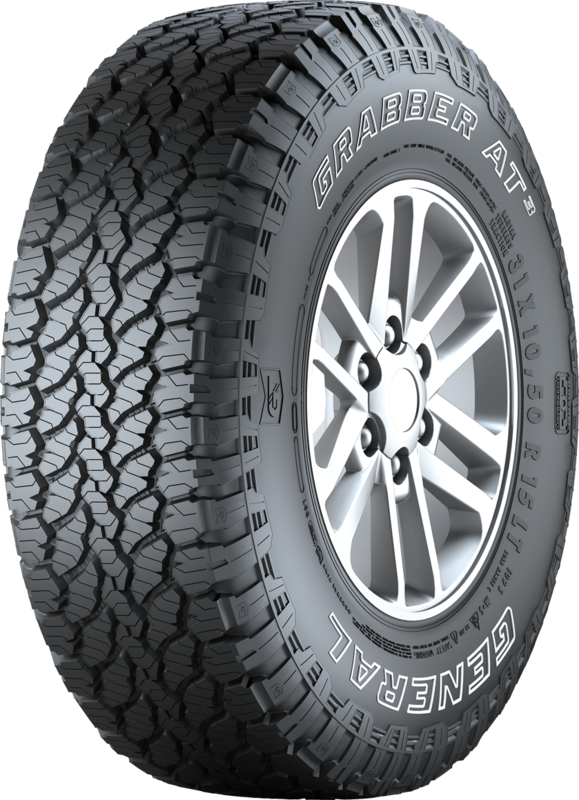 The Grabber AT3 features three new technologies from General Tire that allow for high grip both on and off-road, enhanced acoustic performance and improved mileage. The third technology, known as “ComfortBalance” demonstrates the developers’ success in overcoming the conflicting interests of ride comfort on road and good off-road grip. The balanced block geometry of the tread with low stiffness and the specially modified arrangement of the blocks in the center of the tread reduce vibration in the tyre, providing good ride comfort on the road. On wet and dry surfaces, the new Grabber AT3 performs at the same high level as its predecessor, while traction on snow has been substantially improved. In off-road use, grip in mud and on wet grass has been improved and the tyre presents higher resistance to tread damage than its predecessor. The Grabber AT3 will be available in 44 sizes for rims between 15 and 20 inches, with an additional 20 LT and C sizes to follow through 2017. These tyres are approved for speeds of up to 150 mph and as an all-season tyre, the Grabber AT3 bears the M+S mark and the snowflake symbol to signify safe handling on snow-covered surfaces.